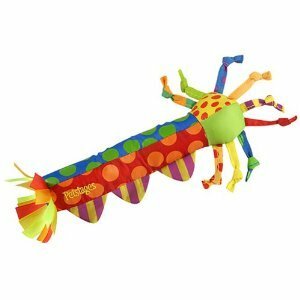 PetStages toys are designed specifically for the age and activity level of your pet. The Soothing toys help focus and calm your pet for situations such as travel, trips to the veterinarian or groomer, illness or other times of stress. The Chewing toys are designed to address the chewing habits and dental health for each stage of your pet's development. The Interacting toys provide thoughtful activities to help you bond with your pet; and encourages good behavior and social skills. The Playing toys incorporate various sounds, textures, shapes, materials and movements providing hours of fun!